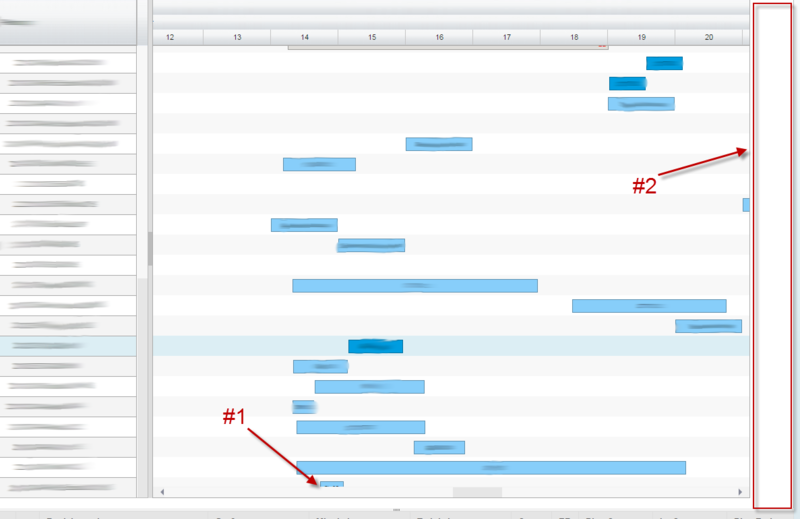 i'm using the flexy gantt jQuery gantt package 4.5.28. #2: There is also a problem with the width. Both Problems are fixed after resizing the window. In which browser you see this issue? And could you please send us steps to reproduce this issue? I'm using Internet Explorer 11 and Chrome. It seems to get fixed when i resize the window. => Refresh again and it looks like the screenshot above. We tried to reproduce this issue in reference sample which we gave to you, but we don't see this issue in that sample. Could you please alter that reference sample to reproduce this issue. Could you please send the sample to me again? I didnt get any mails from you the last days. Tobias, we have emailed you the Reference sample.